James Campbell Stevenson, ex-Register and Recorder of Lawrence County, has been an honored citizen of New Castle for the past thirty-four years. He was born September 20, 1838, in Plain Grove Township, Lawrence County, Pennsylvania, and is the oldest child born to his parents, Robert and Eliza Ann (Deniston) Stevenson. The Stevenson family is of English extraction and it was established in America by John Stevenson, who settled near what became the historic battlefield of Brandywine, probably in 1750. 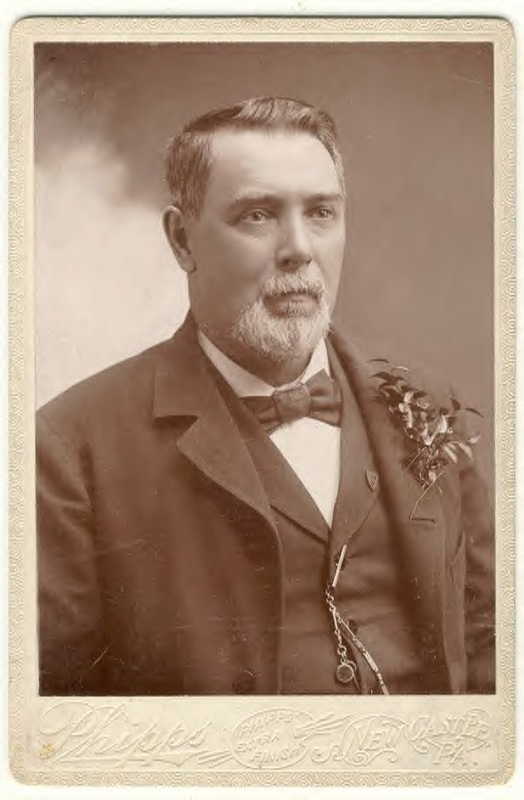 He was the great-grandfather of James C. Stevenson, of New Castle. He was a member of the State Legislature and died in Hagerstown, Md., in March, 1785, when on his way home from Philadelphia. Robert Stevenson, son of John, and grandfather of James C., was three years old when his parents, in 1780, moved to Washington County, Pennsylvania, settling on Pigeon Creek. 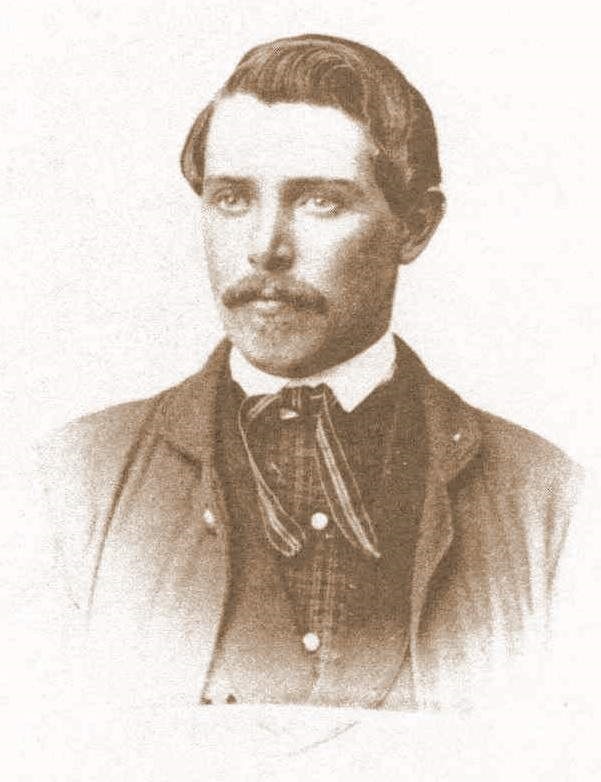 When he was twenty-one years of age he married Miss Elizabeth Scott and came to what is now Lawrence County, then a wild and unsettled region, and subsequently engaged in farming between New Castle and Pulaski. In 1824, he traded farms with Hugh Wallace, moved to Plain Grove Township and died on that farm in 1862. His wife died in 1841. Robert Stevenson (second), son of Robert and father of James C., was born near New Wilmington, Lawrence County, Pennsylvania, August 15, 1809, and died at Plain Grove, November 30, 1887. Not every one can trace so clear and honorable an ancestry as Mr. Stevenson, nor has every one led so eventful and useful a life from the activities of which now has retired. Reared on the home farm until eighteen years of age and given only such advantages as then were afforded in the country schools, he became a successful teacher himself, but when the Civil War was precipitated he closed his school in April, 1861, and offered his services as a soldier, but was taken sick before he was mustered into the army. On August 28, 1861, Mr. Stevenson again enlisted, entering Company E, One Hundredth Pennsylvania Volunteers, contracting for three years or during the war, re-enlisting December 31, 1863, and in the same company he faithfully served until his honorable discharge on July 24, 1865, at that time having the rank of second sergeant. In 1863, during the Mississippi campaign, Mr. Stevenson suffered from sunstroke and on May 12, 1864, he was seriously wounded at Spottsylvania Courthouse, and in addition to these injuries he entirely lost the sense of hearing in one ear. Shortly after his return from the army, Mr. Stevenson was married to Miss Nancy J. Young, who was a resident of Allegheny County, and they had two daughters: Henrietta E., who married Prof. W.A.H. Hobbs, residing at Cocoanut Grove, Florida, and Laura M. Stevenson, stenographer in the National Bank of Lawrence County, residing with her father at New Castle. Mr. Stevenson was a member of Encampment No. 1, Union Veteran Legion and a charter member of Post 100, Grand Army of the Republic, and Mrs. Stevenson, who died September 13, 1900, was one of the organizers of Meade Circle, Ladies of the Grand Army of the Republic. About the time of his marriage, Mr. Stevenson purchased a small farm in Plain Grove Township, Lawrence County, and devoted his time to its cultivation, during the summers and teaching school during the winters. He, in the meantime, took an active interest in politics as a member of the Republican party, and in 1874 he was elected Register and Recorder and moved to New Castle. He served in that office for three years, and in 1884 was elected City Comptroller, in which office he served for six years. In 1896 he was appointed Deputy Register and Recorder, and served continuously for twelve years. Mr. Stevenson has probably done more to honor and perpetuate the memory of the soldiers of the Great Civil War in this section than any other individual. For nearly forty years, while serving as secretary of the Society of the One Hundredth Regiment (Roundheads) he took great interest in acquiring information and statistics that might be used in a future history of that band of gallant men. He was the prime mover in the Lawrence County Soldier's Association and the Lawrence County Monument Association and served as secretary of both organizations. In 1877 he compiled a very complete roster of the soldiers enlisting from Lawrence County, which was published in the Lawrence County History. He has also furnished historical matter in the press, not only for local but papers of national circulation. From 1888 to 1893, he published the Volunteer, a soldier's monthly, devoted to perpetuating the memory of the soldiers of the War of the Rebellion, which found a welcome in many homes. Mr. Stevenson is a lover of books and possesses a large library -- probably more war books than can be found in any other library in the county. He is also a student of other history, and is a firm believer that the Anglo-Saxon race is "Lost Israel," and that England the "Company of Nations" and America "The Great People" represent the tribes of Ephraim and Manassah, who are eventually to rule the whole earth. Like all their ancestors, Mr. Stevenson and family are Presbyterians, he being a member of the Central Church of New Castle.